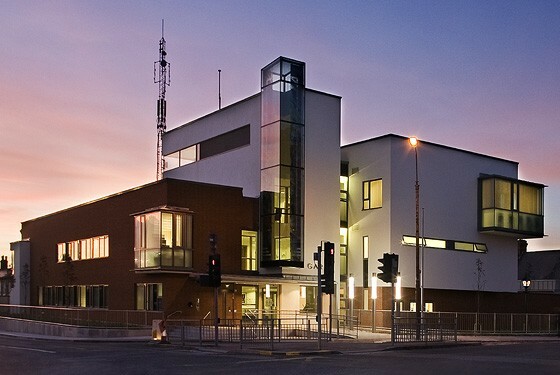 Merrion Contracting carried out works to convert a house with an attached cellblock into the eye catching OPUS award winning, Irishtown Garda Station. It replaced an old R.I.C Brick building on nearby Barrack Street. The building consists of two wings one to the south and one to the east separated by core which serves numerous functions such as vertical circulation, natural ventilation, natural lighting and provides the main public entrance to the building at its base.